During the Monte Carlo Television Festival, World Screen News’s editor, Anna Carugati, moderated a panel with the cast of FOX’s acclaimed thriller 24, from creators Bob Cochran and Joel Surnow. In the excerpt below, the series’ stars discuss the challenges of the show, and the elements that have made it an international hit. For the past few days, many of us have been immersed in formats and reality television in all its various forms. The common denominator that all those shows have is that they feature ordinary people. Well, welcome to a panel session whose members are anything but ordinary. We have a fantastic group of people, each extraordinarily talented. Let me introduce them. You know them as their characters. Sarah Clarke is Nina Meyers. Xander Berkeley is George Mason. Dennis Haysbert is David Palmer. Penny Johnson Jerald is Sherry Palmer. Elisha Cuthbert is Kimberly Bauer. And Howard Gordon is the executive producer and one of the writers of the show. You’ve seen them on the screen. Once you hear them speak, you will realize that it is no accident that 24 is such a successful series. To start with, would each one of you briefly explain how you got involved in the series? CLARKE: I’m Sarah Clarke. I was in New York, went to LA, where I auditioned in the morning for 24, and I was shooting in the afternoon. That’s the way I got involved. BERKELEY: And I’m Xander Berkeley. I entered the show in the pilot as a guest star and [the role] was offered to me out of the blue, because I had worked for Ron Howard and Brian Grazer before and their company, Imagine, was one of the producers of 24. The rest was an unexpected and delightful surprise. I went through the audition process anyway, and they hired me. That’s how I got here. JOHNSON JERALD: I’m Penny Johnson Jerald and actually I don’t know how I got involved in this project, I’d never read a script. I just asked who was in it, and they told me that this man was in it [pointing to Haysbert]. And I thought he’d be really good to look at and I said, “OK, I’ll go in.” I went in a back alley and didn’t see anybody else auditioning for the role, called my agents and said, “Is this for real, are they really going to give this to me because there is nobody else here?” And I met with the fellas and the rest is history. CUTHBERT: I hadn’t been in LA, ever. And it was my first pilot season and I had tested for a couple of things and 24 was actually the 24th pilot and movie I had gone in for. 24 is a good number for me! Except at the casino last night! I ended up getting the part and haven’t gone back home to Canada since! GORDON: The same season Joel [Surnow] and Bob [Cochran] created the pilot of 24, I had shot another pilot that was on the fast track and was supposed to get on the schedule, and actually it didn’t and 24 did. I was invited by Bob and Joel to join them on the show. I had seen it. I thought it was the best pilot, frankly, that I had ever seen. I’m very lucky to be part of the series. Let’s look at the time factor, because it’s one of the very unique elements of this show. The fact that each episode represents one hour in real time, what kind of constraints, if any, does that put on the production? GORDON: On one hand, there is a different kind of narrative technique we have to think about: obviously how much story can really occur in the course of an hour? Not very much, so it does require finding moments, and those moments are mined by the actor, mined by the prop master, mined by the director and by our cameramen. It’s a function of detailing continuity, so on some level it’s easier because you are confined by what came before and what you know must come after. At the same time you really have to pay very close attention. Sarah, at what point, during the first season, did you realize that your character was the mole? Had each episode of the series been mapped out in advance, or did you learn as you went along, and how did you feel when you learned what you had to do? CLARKE: I thought I was the secretary when we started out. I thought, “Oh, this is my desk, it’s nice and big!” I really didn’t know. I knew that I had a relationship with Kiefer’s [Sutherland, who plays Jack Bauer] character and that was something we were alluding to. I knew there was a distinct hierarchy within the company and this was a world that no one could really research–oh I’ll go on Google and search CIA! Dennis you knew pretty much from the beginning what your role would be. HAYSBERT: On the surface I knew what it was going to be, but I didn’t know I was going to become president. I knew I was a senator. I knew I had a secret. If you can remember back to the phone call I got from the newscaster that knew about the secret, I had absolutely nothing to play from. No idea what they were going to spring on me. I just had to react as if it were the deepest, darkest, dirtiest secret you could have. Not knowing at all where they were going with it, so that was acting! Penny, in previous roles, you never really played a bad person, what kind of a stretch was this for you as an actor? JOHNSON JERALD: Well I’m still not playing a bad person! [laughs] I’m playing a person misunderstood. I’m playing a person who has given up her life to support her husband and then the door is shut in her face, so she becomes a woman scorned. And the Bible tells you, you better watch out for a woman scorned, that’s worse than anything. What starts to happen with Sherry is that the ground just starts to move from under her and she finds herself just trying to stay afloat. So a woman with that intelligence and power and used to having her world so organized will do anything to try to get it back together. And, her man, that’s what she wants, she wants her man, and she’ll do whatever it takes. Elisha, I imagine it’s not that difficult to play the role of a rebellious teenager. Most of us probably were, to one extent or another, a rebellious teenager! But a kidnap victim, where did you go to get those feelings, those emotions? CUTHBERT: That was kind of difficult. As an actor you play different characters, and you can take your life experience and go with it at that moment, and you observe people and watch people. But I don’t know anyone who’s been kidnapped, and I’ve never been kidnapped in real life. I just read the script, and my first reaction to reading it is what I play on screen. That’s how I go, and I will either [increase] or lessen the emotion depending on what works. I’m lucky enough to work with great actors and great directors who either say, “Tone it down,” or “Play it better,” or whatever. So I just go with my first instinct about what I feel I, as an individual, would do in those circumstances. Xander, you’ve acted in feature films, on stage, in TV series, What does a TV series offer an actor in terms of character development that maybe a feature film or the theater can’t offer? And what did you find particularly attractive about the role of George Mason? BERKELEY: TV offers one thing, and 24, in particular, offers something more. One of the reasons I tended to avoid TV series before was the constraints of having to tell a beginning, a middle, and an end, within an hour, interrupted by commercials. So there would be a bad guy, bring him to justice and tie a bow on it and that was all within an hour. The thing that is so wonderful in 24 is that they have 24 hours to tell a story that was multi-dimensional and there was no need to tie a bow on the end of every hour. Leaving it untied is what pulls the audience in. The other thing that 24 has over any other TV show series I had done was that it consistently stayed ahead of the audience, rather than hitting the audience over the head. And it was so great to be able to explore the minutia and subtleties of human behavior under dire circumstances and all the things that can be brought out of a person under pressure, in real time. That was amazing. Howard, to what extent did 24 represent a risk for the FOX network and how did you deal with that? GORDON: The conventional wisdom in television, as Xander said, is that an episode of a series has a beginning, a middle, and an end. The series reaches 100 episodes and it is sold in syndication. The episodes can be seen out of order, and shuffled around, and make a lot of money for everyone. And so the idea of serialized or soap-opera-type of shows was really so against conventional wisdom and routinely passed on. In fact, we had to assure the network, “Oh yeah, we’ll write a close-ended show, yeah absolutely.” And they were worried. We said, “Don’t worry, every episode will be closed, we’ll be fine.” We quickly learned that the very thing they were afraid of, like the cliffhanger, is our stock and trade. It’s an old-fashioned narrative technique, but it keeps you wanting to come back for more. I think they were scared, they still are. 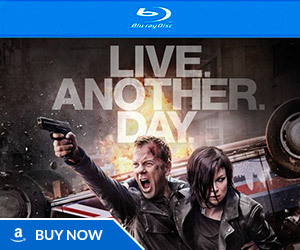 I don’t think anyone knows how 24 will do in syndication. I think they are starting to feel a little bit better about it based on the way the DVD is selling and the way the show is received critically and in terms of the ratings. It has the chance of redefining how people watch TV. I don’t have any extensive research, I only know this from my friends, but many were saying, “Oh my God I’m going to miss this week’s episode, how am I going to understand the story line next week?” Have you heard that criticism? Is it a concern of yours? Should we all go out and buy TiVos? HAYSBERT: We are very quick to dispel that. [The audience] picks it up. Everybody just gets really anxious about it, and that is what I have found to be exciting about doing the show, I get excited about it. It airs on Tuesday nights in the States and I can’t go out Tuesday nights. I’m checking my watch all the time, saying, “We’ve got to cut this short, I’ve got to go.” And it’s even different watching it taped. I like the feeling of knowing I’m watching it with the rest of the country, or at least on the West Coast at the same time everybody else is watching it. It has that kind of appeal to me. Also I constantly hear people say, “I don’t watch TV, but I watch 24.” And I say, “You know, that is really a grand compliment,” because I know there are a lot of people who don’t watch regular television, so we are blessed. GORDON: One of the arguments we make to people or to the network is that in the given course of an episode, there is only so much that can happen in 45 minutes. I think it really is possible to experience it on an emotional level. I remember the very first episode I wrote, Kim was kidnapped by this guy who didn’t realize how bad [the situation] was himself. I remember they had to dig a hole to bury a guy. That’s a perfect 24 story, because it takes about an hour to dig a hole and bury a guy. CUTHBERT: This is the only show in which you get to see characters evolve every second, and to see that is completely different from everything else. 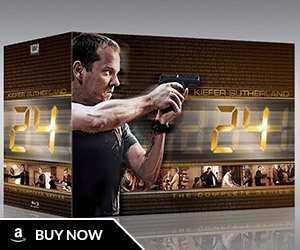 24 lets you experience us every second of the entire season. If you miss 20 minutes or an hour, you jump back in and are still witnessing seconds of these characters. You’re not going to miss anything, really. JOHNSON JERALD: I want to agree with Elisha, because 24 seems to me like the best soap opera on television. Personally I can pick up a soap opera 10 years later and know what’s going on. I think we have to give the audience much more credit. We’re dealing with a smart viewing crowd now and they can pick it up, I truly believe that. Do you ever wonder if you are pushing the limit too far, or is that part of the experience of watching 24? I remember in one episode when I am patching Jack through to Teri, and I’m speaking to Teri. I went out to the prop guys and said, “With this computer I think I need a head set because I’m going to be needing to move the mouse. But then I’ve got to have this phone because it has the multiple line,” and they looked at me and said, “Oh we don’t know, just do it!” Then I said, What if I take the head set and can somehow connect it through some magic wire! And they said, “Sounds great, if you can make it look good then do it!” [laughs] And I did, I practiced it, and they all thought I was a little insane! But that’s another challenge–but also a great thing about 24–we try to string along as many scenes as possible, so that you do get to play the arc of the scene. And I have to be very aware [with three or four cameras shooting me] I have to be able to move between these different worlds and hit my mark and know what I’m doing and not fumble. We really choreograph these moves to a point of looking like we belong in this world. We’re not stumbling. Howard, when you are writing any of these scenes, is there any research that goes into saying, this computer can do this or this gadget can do that? GORDON: Absolutely none–as little as possible! It’s funny because the question of, “Is this possible?” is a good question and one that came up with the network very early on. The biggest criticism that we faced from the studio was, “This couldn’t happen. How could this guy be seeing them that quickly?” The idea is that Sarah sells it so convincingly. We have a guy on staff who claims to be a computer scientist, I doubt it, I’ve never seen his diploma [laughs] but I think it’s more a testament to what feels good and the seriousness with which everybody treats that is the important part. The show was created and the pilot was shot, and maybe some episodes too, prior to September 11? GORDON: We were shooting the sixth episode. The series deals with terrorists. How, if in any way, did 9/11 impact what you were doing or how you felt about what you were doing? CLARKE: I remember that the morning of September 11 I had a scene. And because we were in LA and we were watching it on TV, we didn’t really believe it. My call was at 7 a.m. [The planes had just crashed into the towers] and my family was in New York, and I was just floored. And everyone on the set was saying, “But that’s not really happening, we’re going to shoot.” And I had a scene where I’m telling Teri that the guy that’s in the car with her is a terrorist. I remember thinking, “This is so strange because the world is really going through this and I’m trying to act this now.” Everyone sort of got a clue and said, “We are stopping.” Because it took that time [for us] to really realize. In New York you felt it, but in the rest of the world we were just in shock. Were any changes made to the episodes as a result of September 11? GORDON: We have to trim some part of the pilot. There were some very graphic shots of the plane exploding that were probably the most objectionable and most sensitive things. Right after September 11, not only were serialized dramas very unpopular but so were shows about terrorism. People felt nobody would want to see this. The real concern was that they weren’t going to pull the plug [on the show], but let us finish out the rest of the 12-episode order and probably burn it off. I think there really was a re-adjustment period and a boomerang effect–in this new reality people appreciate the show in a different way. It definitely resonates with the world we’re in now. Xander, did you have any idea when you started the series that it would reach the level of success it has attained? When you start a series do you see the elements that sort of gel and say, “Yeah, this is going to work”? BERKELEY: My experience has been more in film, but you do feel it. There is a different vibration about something that is destined for success. You’re in enough of the ones that don’t end up being a success, that you can sort of look back with some sort of clarity to the differentiation between the two. There was just something intelligent and new and fresh. The way the whole thing was being approached: the division of the screen, the real-time format, and all the risks they had the courage to take, it was bound to work. Dennis, how would summarize the elements that made the show so successful? HAYSBERT: On a number of different levels. Let’s start with the writing. It is just incredible. The casting. All of us notwithstanding, the “ancillary” casting, the casting of the extras, the casting of the people that float in and out of our lives. They were so bloody good–really, really good actors and you could tell this was something you wanted to be a part of. There was so much meat. I saw one of the scenes that Elisha was in when she was on the side of the road, and there were Hare Krishnas in the background. I hadn’t seen that since the ’80s. It was amazing to see all these things. The split screens. The telephone conversations. Those conversations take up at least a third of the show. And I knew it was going to be successful when people would come in on their day off and participate in the telephone conversations off camera. When we were on camera talking, there was somebody off stage speaking on the phone, and the phones actually worked. Our prop department is incredible. It sounds like a cliché and it sounds really politically correct saying all this, but everybody was like a big family that got together and said, “Hey, we’re just going to make this work.” It wasn’t just talk, we did it. So there is the real-time aspect, the cast, the writing, the split screens, people coming in on their day off to do the telephone conversations. What else can I say? HAYSBERT: The editing and the musical scores and the camera work. I’ve worked on so many movies, the camera people were so tuned in. They were just a step ahead. Howard, were the studio and the network willing to give you the financial resources you needed from the beginning? GORDON: We had to do it for a budget. It costs as much to shoot our show as it does to shoot a doctor show or a cop show. HAYSBERT: One of the ways we do it is by shooting two episodes at a time. We write and prep and shoot over the course of 15 work days–Monday through Friday–three actual weeks. Which saves us about half a day in the budget, and we have the same director for the two episodes. We use two and three cameras. It’s really a phenomenal operation. Elisha was talking about it last night, she was on a movie where they did a page or a page-and-a-half a day. We do eight or nine pages of script a day. Necessity is the mother of invention and we do that. Given that speed of production and given the fact that you are depicting life and death situations in almost every single scene, what’s the atmosphere on the set like? HAYSBERT: This is very much a team. You can translate that to sports or to any other kind of team. There is a camaraderie on this show that is very rare in show business. There are people that don’t even show up some times for your close-up in a lot of TV shows and movies, but we show up for phone conversations. We’re all busy, but we all enjoy coming in and doing what we have to do to make this show the best we can make it. Penny, you and Dennis have been involved in a lot of series, how would you say 24 has advanced the drama genre? JOHNSON JERALD: Tremendously, because even today when I turn on the television and I’m looking at a new show, I can see that we are the prototype for shows to come. And I’ve been fortunate enough to be on shows that are innovative and new. I was on The Larry Sanders Show a few years ago. When a show is that good, and is surrounded by wonderful writers and creators and a cast, it’s gonna happen, you’re gonna have shows that people want to copy. Getting back to 24, I think it has set the standard, at least for me. I can’t go backward, so, anything I do past 24 has to be at least 24. 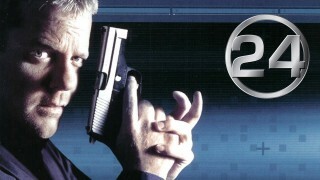 The first season set a standard for 24. That means the second season has to top the first season of 24. When I say take it to another level, that means take it to another level with the writing, with the commitment of the actors and the collaborative effort of every department. It should show that people who are very good at what they do can work together. We don’t have star trips, meaning that no one comes with an attitude or any kind of sense of superiority, “I’m better than you,” or “This more for me than you”. It truly is a place where the standard has been set for real ensemble acting. We have a super film star on our show, that’s Kiefer, but still we work on this together. It’s like a fine company. We have this young lovely Elisha, who is the baby. I call her Little Bit, and then we have the middle of the road, and then we have some veteran actors. But still we can all come together and make this beautiful television. So I certainly hope that other shows are looking at that. You can actually show up on time and know your lines and actually get paid for doing the work. It’s just a lovely thing. Without revealing too much, because much of the European audience hasn’t seen it yet, what can you reveal about the second season? HAYSBERT: There’s a nuclear bomb in Los Angeles, and you’ve got 24 hours to put it out! GORDON: The second season started for us with the unfortunate demise at the end of the first season of Teri. In our case there are no happy endings or only partly happy endings–in this case the tragic death of Jack’s wife and Kimberly’s mother. That was a place where we said, all right we have a psychological and emotional place to begin season two. And when Penny said it’s about redemption, Jack has been estranged from his daughter who blames him in part, but wouldn’t say so, for the death of her mother. He blames himself. He’s basically had it with the world and he lives alone. He doesn’t work anymore, He probably collects some disability or some pension and it’s pretty grave between them. David Palmer learned this awful secret about his family. He woke up that day thinking, “Look at my wonderful family.” And went to bed thinking “It’s not what I thought.” And he had been dealt this terrible blow. And then we send him to the Presidency. And how is he going to repair? And as Penny re-entered his life, how is he going to measure that re-entry? Everybody betrayed everybody else, but it’s really about “Can I trust again? Can I learn to love again?” and that is really what the emotional truth of season two is about. President Palmer, I really have to ask you this. Where are the weapons of mass destruction? HAYSBERT: They ain’t in Iraq. One weapon of mass destruction is right here! [pointing to Penny] [laughter] Next question! Howard, as you are now working on the third season, is each episode representing one hour in real time liberating in terms of creativity, or is there the risk it can start to be a bit of a constraint? GORDON: I think it’s both. When I did other shows, for instance Buffy the Vampire Slayer, you’d spend weeks sometimes wondering, What am I going to tell, what’s the beginning, the middle, and the end? That time is not spent in the same way on 24. For me, frankly, it is a bit easier and a bit more enjoyable because we are telling a 24-hour movie. It feels like a Dickens novel, you go from one chapter to the next. But you are telling the same story. You are all also shooting feature films, besides starring in 24. You produce 24 episodes, which is more than any other drama in the United States. How do you find time to fit in a feature film into your schedule? HAYSBERT: The beauty of that is that because there are so many different story lines, in a 15-day schedule, we may work five or six days. So that really leaves a lot of leeway in between. I shot [the feature film] Far From Heaven and 24, on two different coasts, simultaneously. My frequent flyer miles are up there baby! That’s another great thing about it, I’m going to take my kids to Hawaii this year! It works, that’s how I was able to do it. JOHNSON JERALD: It can be difficult. I was shooting the end of the second season and a movie in another country. I was flying back and forth for two-and-a-half weeks. Because of the format of 24, it made it easy for me: you don’t change your hair, you don’t have to go through those changes, that’s something that is very set for you. We don’t shoot for the entire 15 days, but I had a very heavy schedule. I was able to do that because the producers on both shows were in agreement. We are fortunate to have people who are really great fans of 24 willing to make it happen. It can be difficult, but not impossible. Penny, what influence do you have over the behavior of your character and the look of your character? JOHNSON JERALD: It’s a collaborative effort. 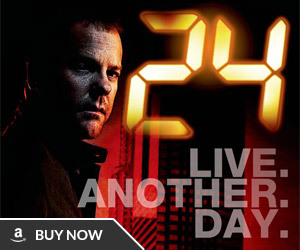 I didn’t know what 24 was until I saw the pilot and I realized, Ok, it’s 24 hours, each episode is an hour. I realized that the clothing I was in during that pilot, I was going to have to wear forever, and that was a rushed fitting because I was away doing something else. So I realized I was going to be stuck with a bubble-presidential-wife hairdo forever. I had to give it a lot of thought. I had to get this woman in a towel and a bathrobe and change, because I wanted to paint my nails and do it all on camera. I changed my makeup while listening to my husband. I had to do everything on camera so that you could buy it. As far as who Sherry is, I have to give that to the writers. Dennis, what about you? What involvement do you have with your role? Do you play with your tie and your shirt sleeves to change your look? HAYSBERT: You know, my look didn’t change. There were parts when I didn’t have to look too official, so I could take off my jacket. When I had to deal with my children, I could role up my sleeves. Every time I had to deal with the public or my team, I was in my coat and my tie and I was looking presidential, that was it. As much as I’d like to hog you all to myself, I imagine there are questions from the audience. AUDIENCE: How much concern do you have for the moral messages your characters are putting across? I read an interview with Kiefer Sutherland where he said he actually wanted something to happen to Jack Bauer because he was so violent. GORDON: It’s a very good question, I think that we posit Kiefer’s and Dennis’s characters as facets of the same character. We really define them as deeply moral men. We put them in moral quagmires constantly–positions of self sacrifice, sacrificing one thing for the greater good and playing moral triage, I believe Kiefer’ s character, in particular, has chosen the cruel path. He said, “It’s just like guys like you George, you want to get results, but you don’t want to get your hands dirty.” He’s made the choice to get his hands bloody, sometimes too bloody, nevertheless, that is what he has recognized he has to do as a hero in the world we all live in now, his hands are stained with blood. Kiefer does a lot of thinking about that. He does take it very personally. And a lot of what we talk about is just that. Could 24 in any way be a format? GORDON: That’s a really, really good question. We’ve talked about it with the network, in terms of could there be another series in the real-time format. I think there could be. This works so well, but when you do that you risk making it less than the original. I think it’s a viable format–[there could be] say a French version, or a German version–in fact I talked to some of the people from FOX about doing homegrown versions of this show. I also say good luck to anyone who wants to try, because it is challenging, it is it’s own thing, invariably the imitations are second-hand knockoffs. HAYSBERT: Chemistry is very important. Case in point, Seinfeld. All those people worked very well within that realm of Seinfeld, and everyone who tried to branch off and do their own show, that was so connected to that show, has failed, because they failed to realize that one main thing–chemistry. The chemistry we all share on 24 is very unique, and I don’t believe in accidents. But it could almost seem like an accident that all of us were put together, and the prop department and the grips and the editors. All of us have to work in conjunction with one another to make this work. You really have to have the belief–if you want to try to format something–to truly believe that you can do it. There can’t be anyone in there that doubts it. Fox News couldn’t be presenting a more different set of values than those President Palmer is expousing. What do you think about that, since the two [are produced by the same parent company]? GORDON: I think it’s very encouraging isn’t it? It goes against people’s fears–which, by the way, I share–that media consolidation is a bad thing. We’ve received no editorial influence. Fortunately the only touchstone is ratings and money. If we make money for Rupert Murdoch, we can say whatever we want. We’re essentially apolitical. We have been owned and co-opted by the left and the right variously. We just want to tell a very good story, but people can read into it what they will. I live in the U.S. and saw all of season two of 24. I had the feeling you were following the events leading up to the war in Iraq, is that correct? GORDON: They were following us. We thought we were going to get eclipsed by the news at some point. We felt we were running ahead of it for a time, and then I felt it had passed us. It was at episode 16 or 17. We did have some concern that we would be forgotten or get marginalized or trivialized by the news. Somehow they both seemed to exist OK and the audience took it in. I live in Denmark, where we just saw the end of the second season and it was a big success. Can you tell us anything about the third season? Will it be on the moon? Under the sea? GORDON: It’s very exciting and it’s very personal! Our time is up, unfortunately. I’d like to thank our panelists for being here–thank you for the gift of entertainment you give us every week, which in today’s world is a very precious and rare gift, indeed. HAYSBERT: Thank you all for watching.